'This morning I found this bag. I had been looking for sweets. I put my hand in the bag and felt a sticky liquid on my fingers, then I looked at it. A red smear. Then I looked in the bag: bloody knives and clothes. It didn't feel good. What did it mean? I don't know. There are no answers; I daren't ask the questions' Growing up in poverty in London's East End, Kathy was eight years old when her father forced her mother into prostitution. When their mother fled, leaving Kathy and her sisters behind, the girls stuck fiercely together while being passed from children's homes to boarding schools. Then, on a rare trip home, Kathy looked out the window to see a man firing four shots into a Rolls-Royce. It took several seconds for her to realise the victim was her mother's lover, and the gunman was her father. Kathy began her haunting memoir when, as an adult, she travelled back to London, to find out who her gangster father really was. 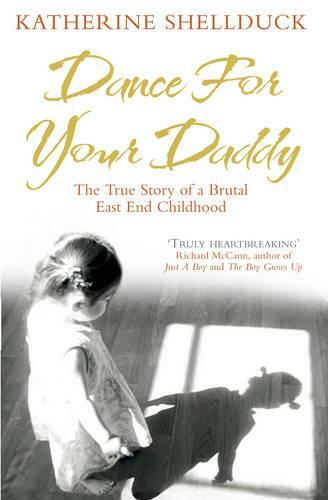 A compelling memoir of an extraordinary childhood, Dance for your Daddy is a true story of the effects on one family of poverty and affluence, violence and love.